Welcome to the Arkansas Pharmacists Association! 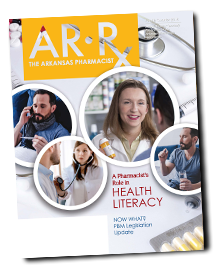 The Arkansas Pharmacists Association (APA), founded in 1882, is the statewide professional association representing approximately 2,300 pharmacists in Arkansas. APA strives to further the professional advancement of pharmacists, advocate the value of pharmacy, and safeguard the health and well-being of every Arkansan. Its mission is to advance a professional and business environment for Arkansas pharmacists to be successful and fulfilled in serving patients.